CEDAR RAPIDS — A mansion once home to prominent residents in the city’s history, which later served as a place of comfort for grieving families, will usher in a new era with its own role in historic preservation. The Carl & Mary Koehler History Center announced plans Sept. 9, 2014, to relocate just blocks away from its site at 615 First Ave. SE, to the George B. Douglas home, 800 Second Ave. SE. Known to many as the former Turner Mortuary, the home was listed for sale in 2012, then donated the following year to the Greater Cedar Rapids Community Foundation by Cedar Memorial owner C. John Linge and his wife, Dina. 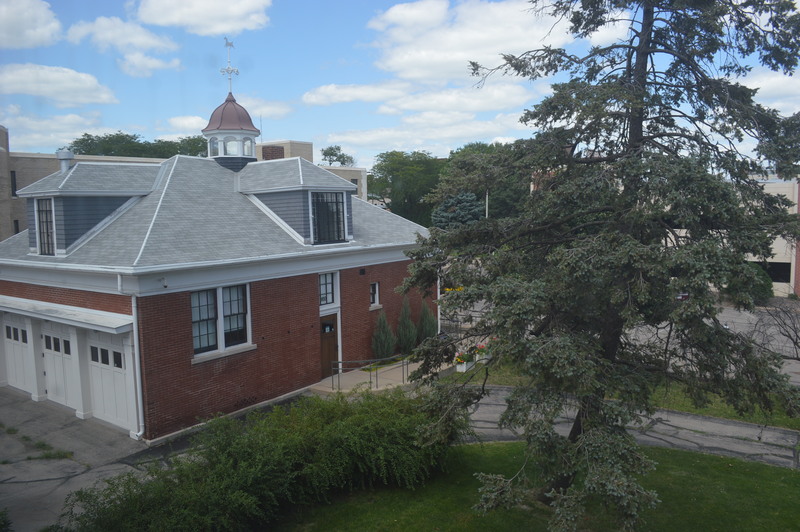 The sale price to the History Center was not disclosed, but Jean Brenneman, chief financial officer for the Community Foundation, said the proceeds will fund a permanent endowment. Brenneman said to do so, the mansion had to be sold at close to fair market value. A capital campaign and proceeds from the sale of the current History Center property will be used to fund renovation of the Douglas Mansion and support museum operations. During the time it was for sale in 2012, the 10,085 square-foot house was listed for $645,000. Linge said a provision of the donation was preservation of the building, which had been used as a funeral home until shortly before the 2008 flood. Built in 1895-1896 for the George B. Douglas family, the building is on the National Register of Historic Places and contains design touches by artist Grant Wood, including windows. From 1924 to 1935, Wood lived next to the home above a carriage house at 5 Turner Alley, where he painted “American Gothic” among other works. The Cedar Rapids Museum of Art owns the studio, which is also on the National Register and was a gift from the Linge family. Director Caitlin Treece said the move will take place as soon as the building is ready, but no timeline has been set. The History Center began in 1969 as the Linn County Historical Museum Association, formed by residents interested in permanently preserving the history of Linn County. Artifacts initially were stored in volunteers’ homes. The first history museum was located at Eighth Avenue and First Street SE in Cedar Rapids. In 1997, a capital campaign began to build a new museum at the former Rapids Chevrolet site and the new museum opened in 1999. The History Center became The Carl & Mary Koehler History Center in 2004, honoring the Koehlers’ significant financial contributions. The mansion’s history extends to the historic Brucemore estate, 2160 Linden Dr. SE. Caroline Sinclair, the estate’s first owner, had the Brucemore mansion built between 1884 and 1886 as a home for her family, which included six children. In 1906, she traded homes with the Douglas family – owners of Douglas Starch Works – so her family could live in the city and the Douglasses moved to what was then the countryside. The swap was considered the largest real estate transaction in Cedar Rapids history at the time. John B. Turner acquired the property from the Sinclairs in 1923 and converted it into Turner Mortuary. It was Turner who hired Grant Wood to refurbish and decorate the home. He also invited Wood to live rent-free in the studio space above the carriage house. Turner purchased many of Wood’s paintings, which eventually were donated to the Cedar Rapids Museum of Art. Cedar Memorial purchased Turner Funeral Homes in 1978. 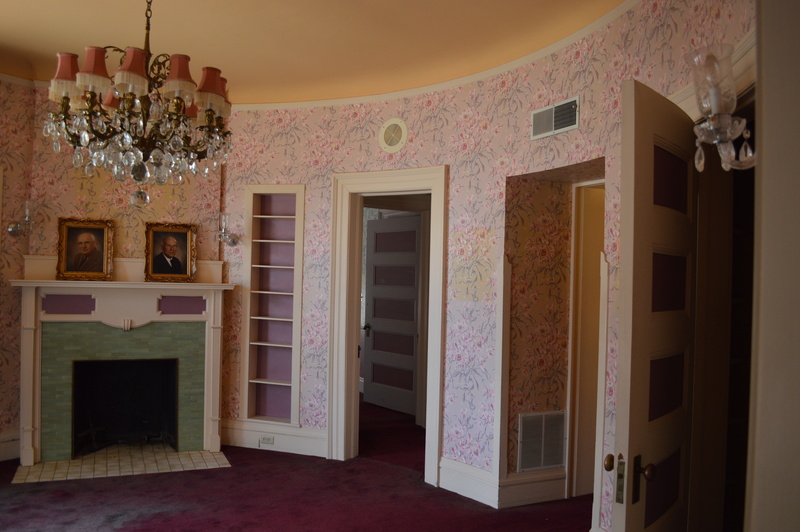 Linge’s parents, David and Audrey Linge, restored the mansion to its “Victorian charm” in 1982, Linge said, with plush curtains, floral wallpaper, ornate decor and pink-toned paint and carpeting. “It was like walking back 120 years,” he said. At its peak, the funeral home served more than 400 families annually. The flood ushered in a short-lived era as headquarters for Theatre Cedar Rapids and the Cedar Rapids Symphony Orchestra, both displaced by floodwaters from their downtown locations. 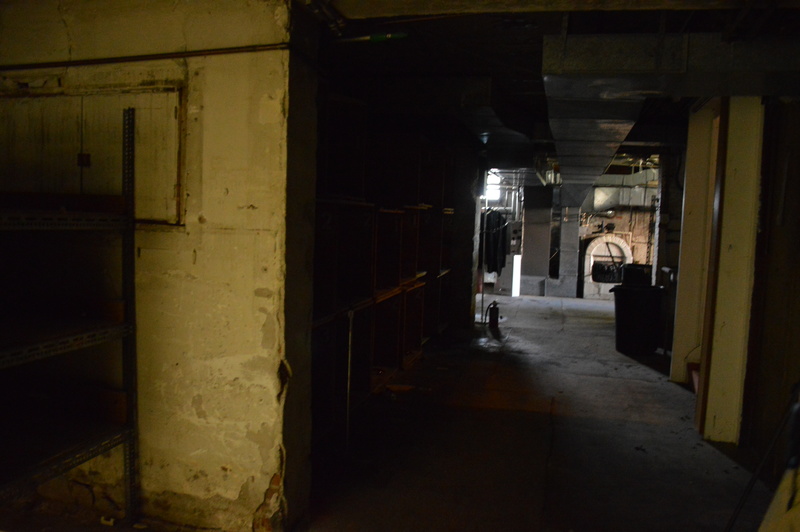 “It was really a fun time for the building because there was so much activity,” Linge said. Beth DeBoom, president of Save Cedar Rapids Heritage, called the History Center’s move “a perfect fit” and credited the Linges for their donation. Save CR Heritage helped promote and publicize the reuse of the building, one of only a handful of mansions left near downtown Cedar Rapids. After the demolition of the historic First Christian Church, just one block away, and construction of a parking ramp for Physicians’ Clinic of Iowa next to the Grant Wood Studio, the group’s members were concerned about the fate of the Douglas mansion. 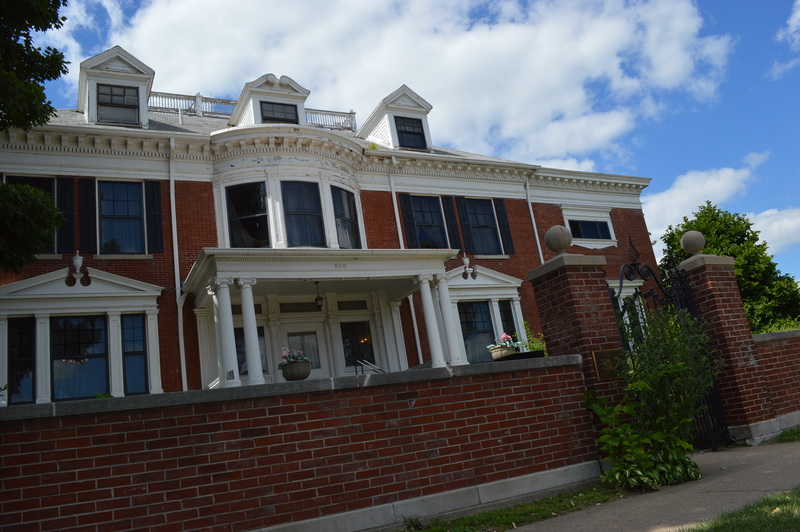 The History Center agreed to purchase the Douglas Mansion from the Greater Cedar Rapids Community Foundation. The Linge family gifted the building, used as a funeral home since 1924, to the Community Foundation in October 2013. The home was constructed in 1896 for George Bruce Douglas, one of Cedar Rapids’ early businessmen. In 1906, he moved his family “to the country” and named their home Brucemore. Treece said the idea of moving the History Center surfaced in May during the board of directors’ long-range planning and discussion of the importance of keeping the museum relevant. The question arose as to whether the History Center’s current property is conducive to fulfilling the organization’s mission. While the museum has a modern exterior, the building is 75 years old and in need of improvements and upgrades. The next day, Treece was in a staff meeting and sat facing a photo of the Douglas Mansion. She remembers thinking, “Isn’t that house for sale and wouldn’t it suit our mission better than our current property?” That thought led to months of research and discussion, bringing the board to the conclusion that the Douglas Mansion needed to be central to their long-range plan. While the History Center currently houses most of its 50,000 objects on site, the move from a 20,000-square-foot facility to 10,000-square-foot-facility will mean relocating most of the artifacts to off-site storage. 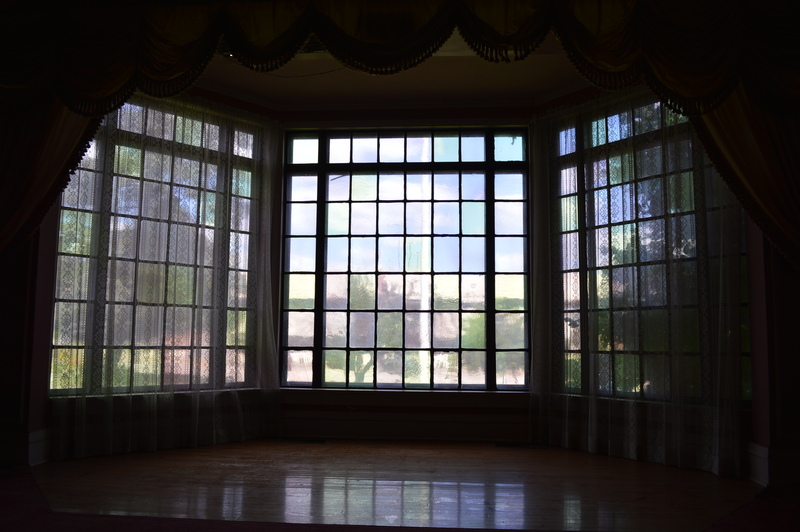 Artifacts that require controlled environments, such as textiles, will be stored at the Douglas Mansion. “Our archives will be moved to the Douglas Mansion so that researchers still have access to them in our library,” says Treece. The difference in size between the two buildings will not be an impediment. Treece says their current offices are more space than they need and the move will allow them to update 15-year-old exhibits to incorporate interactive technology such as touch screens, audio and visual components—all of which require more compact space. 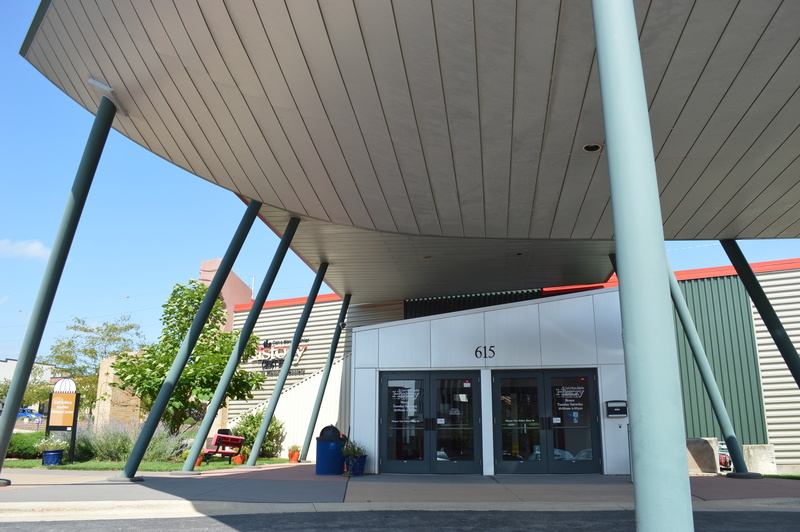 The move will also open up new opportunities for events and fundraising for the History Center, which has operated at its current location since 1999. The museum’s annual income comes from grants, private donations and interest from several endowments administered by the Community Foundation. Linn County and the city of Cedar Rapids also provide financial support. “We cover expenses and we’re stable, but we are always giving thought to the museum’s long-term sustainability,” says Treece. A capital campaign and proceeds from the sale of the current property will be used to fund renovation of the Douglas Mansion and support museum operations. Doug Laird of Skogman Realty is handling the sale of the History Center’s First Avenue property. 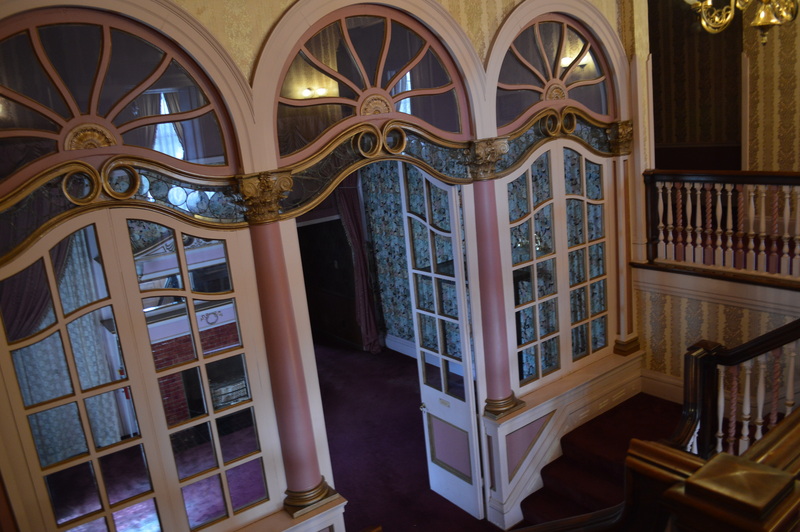 “The exterior of the Douglas Mansion will be restored to look exactly as it has in the past,” says Treece. Repairs will include a new roof, new front steps, landscaping, repairs to the brick wall and exterior painting. Interior plans call for restoring the original hardwood floors and as much of the wood trim as possible. 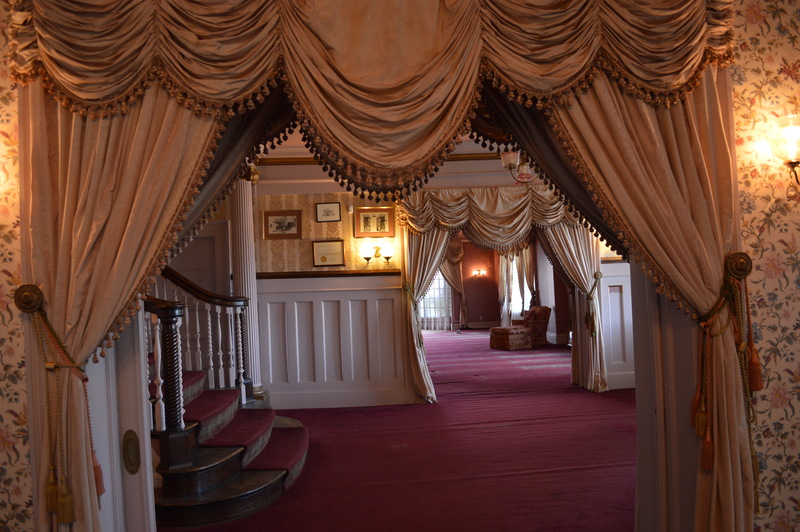 Rooms will be decorated with deference to the mansion’s era. Treece and the museum board believe the Douglas Mansion will attract Cedar Rapidians who are excited about their city’s history and curious to see inside the mansion. 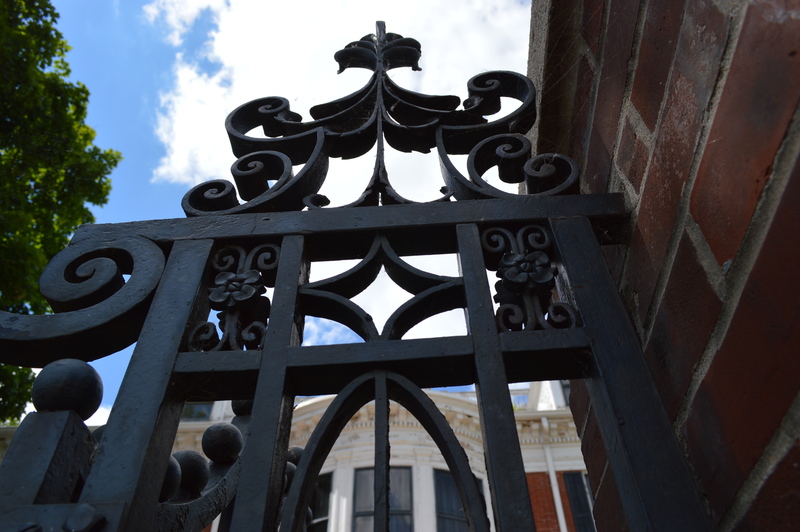 The building has a stained glass window and front gate designed by Grant Wood. She predicts the second-floor round room will be a popular feature with visitors. “It is such a unique design with so much character,” says Treece. Treece believes the Grant Wood influence, along with the home’s inclusion on the National Register of Historic Places, will attract visitors from outside the area as well. 1891 George B. Douglas purchases three adjacent Second Avenue lots on which to build a new home. George B. Douglas’ father was one of the founders of Quaker Oats, while he founded the Douglas Starch Works. A few years later, construction begins on the Douglas’ new residence and carriage house. The architect’s identity is not known. 1906 George B. Douglas completes a deal with Caroline Sinclair, owner of Brucemore, to exchange the Douglas mansion for the Brucemore mansion. The Sinclair family eventually moves into 800 Second Avenue. 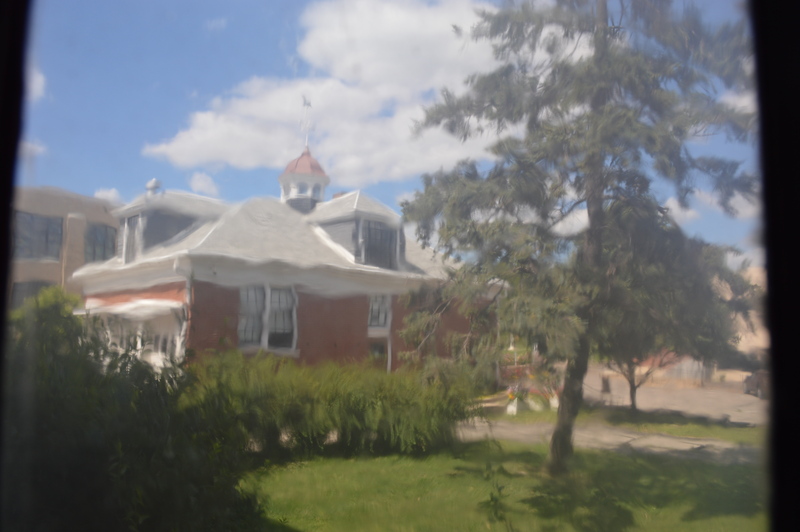 At some point during their tenure here, the Sinclairs have the entire carriage house moved about 40 feet to the east. 1920s After the popularization of the automobile, the 600 and 700 blocks of Second Avenue became known as Auto Alley because of all the car dealerships and service stations located there. 1924 At the suggestion of the Turners, Wood begins to build a studio and residence above the garage. The ability to live rent-free means Wood can eventually give up teaching his job at McKinley High School. The Community Players produce their first play before a tiny audience in Grant Wood’s studio, starting the theater group that leads today’s Theatre Cedar Rapids. 1932 A fire burns part of the studio, injuring Grant, Nan, and their mother. Grant had to replace the original wooden floor with the one that remains today. 1935 John B. Turner dies at the age of 74. Wood moves out of 5 Turner Alley into a home he purchases in Iowa City. Over the next 65 years, the Studio is rented out as an apartment and even boutique on occasion. 1972 John B. Turner II (son of David Turner) and his wife Happy donate 84 works by Grant Wood to the Cedar Rapids Museum of Art. They make additional gifts through 1983. 1978 Cedar Memorial Funeral Homes, founded by David Linge, purchases Turner Funeral Homes. 1982 The Douglas Mansion and Grant Wood Studio are placed on the National Register of Historic Places. 1983 John B. Turner II dies. 2000 The last tenant moves out of 5 Turner Alley. 2002 The Grant Wood Studio building and related property are donated to the Cedar Rapids Museum of Art. 2004 Grant Wood Studio & Visitor Center opens to the public. I’m so sorry for missing the Press Conference. Too many things this week. I’m glad Bob was there to speak for us. I owe you! !